I have installed the Flatabulous theme and the Paper icons on my OS but unfortunately the background color of the notifications popup is transparent, which is pretty hard to read it sometimes. How can I change the color of the popup and turn it into black or something different? Log out then log back in. Not the answer you're looking for? Browse other questions tagged notifications color or ask your own question. I've changed my system stylesheet or icons and things broke, now what? 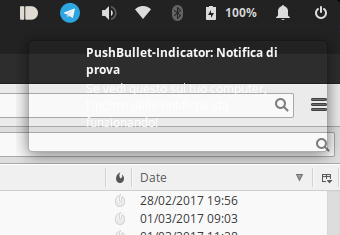 How do I edit or clear the application list in the Notifications plug?